On 4 March 2019 it was announced that Oxfam and the Inter-American Commission on Human Rights (IACHR) signed a cooperation agreement on February 25, 2019 to promote and protect human rights in Latin America and the Caribbean, with special emphasis on economic, social, cultural and environmental rights and on the crucial role of human rights defenders. The agreement is for five years, to implement a plan including projects on research and the exchange of information linked to the situation of human rights in the region, the protection of human rights defenders and the provision of joint training processes targeting civil society organizations. “Cooperating with the IACHR offers Oxfam a great opportunity to strengthen democracy in our countries and to weakening the current pattern of closing spaces for civil society,” said Simon Ticehurst, Oxfam’s Regional Director for Latin America and the Caribbean. “We are very excited about signing this agreement. The excellent work Oxfam does to find lasting solutions to poverty is extremely interesting for the IACHR and for its Special Rapporteurship on Economic, Social, Cultural and Environmental Rights. Based on that, we will be developing high-impact joint projects to fight that scourge,” said IACHR Executive Secretary Paulo Abrão. Over the past year, the IACHR has expressed its concern about the lack of guarantees for the exercise of human rights in several countries in the region. The Commission has also held hearings on issues like Central American migrant caravans, legal proceedings on the murder of human rights defender Berta Cáceres in Honduras, and the growing safety problems faced by defenders in Latin America. In the context of this new deal, Oxfam will join forces with the IACHR to ensure the exercise of human rights. On Wednesday 20 June 2018, Dublin based international human rights organisation, Front Line Defenders along with the HRD Memorial Network, launched a major new report on the killing of human rights defenders (HRDs) at the UN Human Rights Council in Geneva. 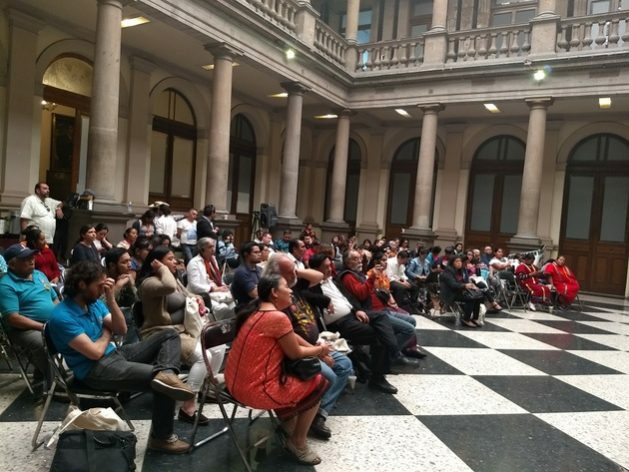 The report, Stop the Killings, analyses the root causes of killings of HRDs in 6 countries: Brazil, Colombia, Guatemala, Honduras, Mexico and the Philippines, which between them have accounted for 80% HRDs killed in the last three years. In its Annual Reports for the last 4 years, Front Line Defenders has reported the killing of 879 HRDs. These were not random killings but the targeted elimination of those working to improve their own communities. The use of lethal violence to silence those who defend the rights of the most vulnerable has become widespread, and is endemic in a number of countries. In its 2017 Annual Report, Front Line Defenders reported the killing of 312 HRDs in 27 countries; the true figure is certainly higher. 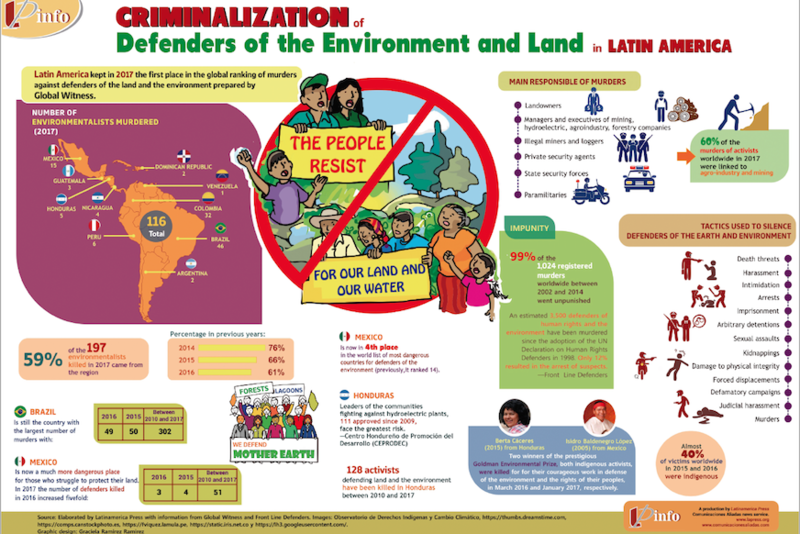 Two-thirds of those killed were working on the environment, land rights and indigenous peoples’ rights, often in remote, rural areas. collusion by the state and/or its agents in the killing of HRDs. The report was launched by United Nations Special Rapporteur on Extrajudicial, Summary or Arbitrary Executions, Agnes Callamard, at a special side event during Human Rights Council proceedings on Wednesday 20 June 2018. Santiago Canton will be leaving his post as Executive Director of RFK Partners for Human Rights at the end of this week as he has accepted the position of Secretary for Human Rights for Buenos Aires in Argentina. He started in 2012.